Smart clothing isn’t quite ready yet. Back in 2014, Gartner predicted that the shipment of smart garments in 2016 would hit 26 million, overtaking fitness trackers by 7 million units in the process. Fast forward to 2017 and while we don’t have precise figures on whether connected kit has been flying off the online shelves, it’s a fair assumption to make that we still have a way to go before everyone is walking around in heart rate monitoring shirts. That’s not to say there’s been a lack of companies wanting to take smart clothing mainstream, Polar unveiled its Team Pro Shirt for sports teams earlier this year, startup Wearable X is launching its Nadi X smart yoga pantsand there is of course Project Jacquard and the collaboration between Google and Levi’s to build a smart denim jacket for commuters. So smart clothing has exploded yet, but that doesn’t mean you shouldn’t be excited. There may be lots of people weighing up the decision whether it’s time to invest in smart clothing instead of a wrist worn fitness tracker, so here’s a few reasons that could persuade you to ditch the Fitbit. There’s a whole lot of people that don’t like wearing anything around their wrists. It can get pretty sweaty underneath there so the opportunity to slip on an Athos or Hexoskin shirt means you make your tracking invisible and wear it like you would with your everyday clothes. That being said, many offer a compression fit that’s not the most flattering if you don’t already have a slim physique. But that’s changing, with the likes of Lumo Run, a pair of smart running shorts that look like a normal pair of shorts you’d find in a regular sports shop that houses its tracking sensor. Now the tech has the chance to go a lot further as Lumo has opened its Motion Science Platform to third parties and it has recently announced its working with Puma on an AI coaching device. The stats don’t lie, except sometimes they do. 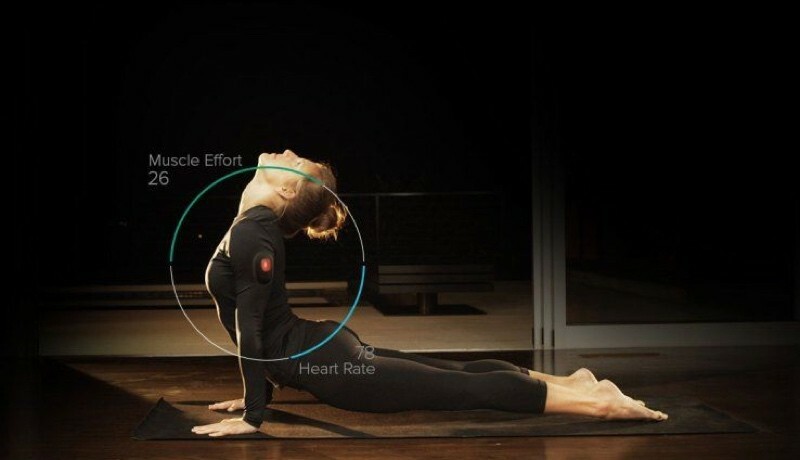 Accuracy is a major talking point for wearables. So much so that companies like Fitbit have been sued over it. The debate of how reliable tracking is from the wrist will rage on, but smart clothing could play a major role in proving how it should be done. That’s because it’s moving those sensors closer to the areas it needs to monitor. Most smart shirts or tops use the same reliable EKG heart rate monitoring technology used in chest straps like the Polar H10 and Garmin Run. Wearing smart clothing on your lower body embedded with motion sensors like Myontec’s muscle-tracking shorts can monitor the part of the body that actually does the most moving when you run. It’s an obvious one, but something that gives smart clothing the upper hand. Most of the smart clothing you can get your hands on today requires a small data box or in the case of the Sensoria smart socks (pictured above) a small magnetic device that clips onto the garment. Once you remember to take that off though, you can stick them in the washing with the rest of your clothes. There’s still many fitness trackers and wearables that don’t play nice with water and while you wouldn’t want to go swimming in a pair of smart socks, it’s good to know smart clothing is easier to clean. One of the biggest advantages of smart clothing is that as you increase the area being monitored, the richer the biometric data recorded can become. That means going beyond motion and heart rate tracking and being able to able add data on aspects like respiration rate. Hexoskin and OMSignal’s ranges both pack breathing rate sensors, which means you can see how hard your lungs have been working when you’re wearing it. With the additional information you can also get a better idea of your current level of fitness and how long you should take out take out for recovery before going out for a big run again. 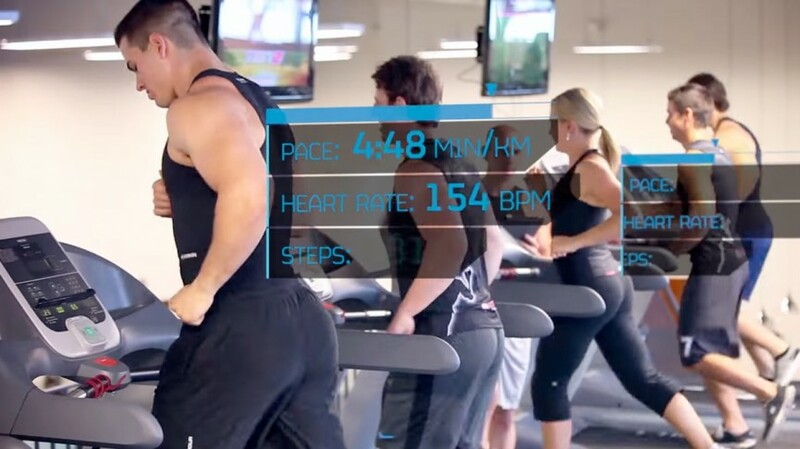 We’ve spoken a whole lot about how smart clothing can give you the kind of data that can help you get more out of your workouts, but it’s certainly going to have a future away from the gym and there’s already some great examples. 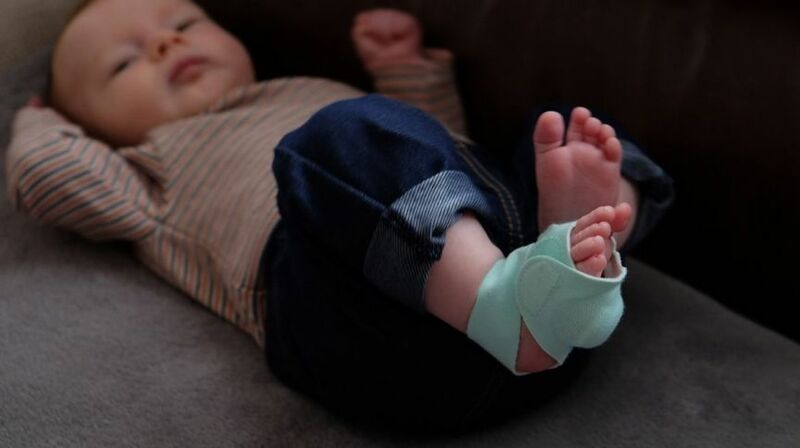 Take the Owlet Smart Sock, a monitor for babies that uses the same pulse oximetry technology used in hospitals and can monitor heart rate to make sure the little one’s breathing and their sleep has been uninterrupted. Smart clothing such as Bloomer Tech’s heart disease detecting smart bra could have a greater role yet for monitoring health whether that’s in the hospital or in your own home. Then there’s Yvés Behar’s powered bodysuit prototype that could be taking this one step further and actually helping the elderly to walk and move about within years. There is of course the first Jacquard garment, the Levi’s cycling jacket, which gives you directions via haptics, but rivals are popping up such as Impressivo faiv and we are sure there will be more to come. Loomia is another smart clothing studio to watch – its smart fabrics could power self-heating, posture-correcting and navigating smart jackets and clothes in 2017 and beyond. VR could also prove to benefit greatly from connected garments as well. Machina is one startup that is merging smart clothing with VR for its Out of Body collection. So there’s definitely plenty of reasons to be optimistic that you’ll be pulling on some connected threads in the not too distant future.